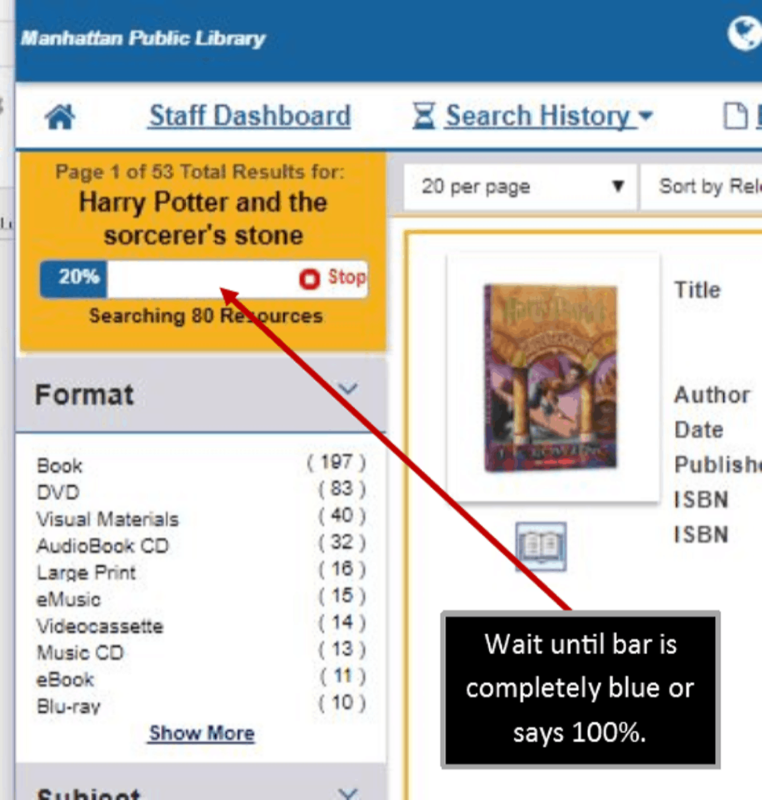 Interlibrary Loan (ILL) works with other libraries to provide items that are not available in Manhattan Public Library’s catalog to MPL patrons. Most items are borrowed from other Kansas libraries, but if the item can’t be found in-state, ILL can extend the search nationwide. ILL will not accept requests for items that the library owns, items that are very new, items that have not been published/released yet, textbooks, or excessively expensive/rare items. To use the service, patrons must first register with the automated ILL system. This allows patrons to place ILL requests anywhere, anytime. To register, call the Adult Services Department at 785-776-4741 ext 300 or come to the Reference desk. All Manhattan Public Library cardholders, except for non-resident patrons, can use ILL. Patrons with excessive fines (more than $5) cannot place ILL requests until the fines are paid. Is there a fee to use ILL? How many ILLs can I request? How long will it take to receive my ILL requests? How long may I keep ILL materials? Can they be renewed? What are the late fees? Are there any other charges? 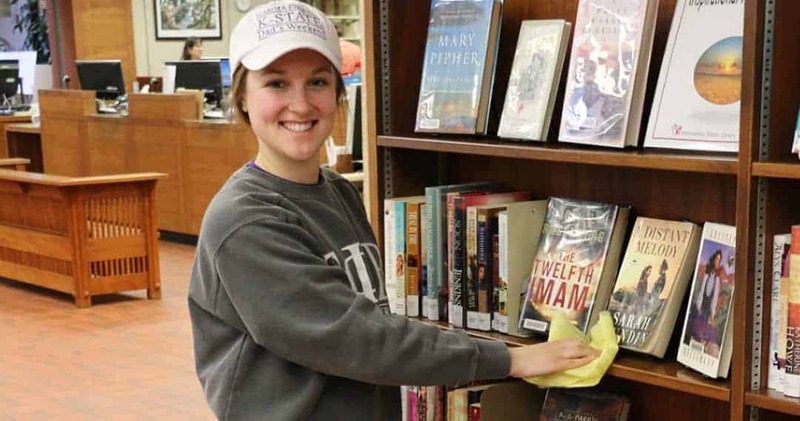 There is no fee to borrow items from other Kansas libraries. Out-of-state libraries may charge a fee to borrow. We will not borrow an item from charging libraries unless you agree to pay the borrowing fee, which will be charged to your library card account. The fee remains until paid, whether you pick up the item or not. Patrons can have no more than 10 active ILL requests at any time. Requests are considered active from the time they are submitted until the items are returned to the lending library. Patrons are limited to one book kit per library card. Generally, an in-state request will take 1 to 2 weeks to arrive. It may take longer. Out-of-state requests can take 4 or more weeks. If you have questions about the status of your ILL, please contact the Interlibrary Loan Department at 785-320-5369 or ill@mhklibrary.org. You will be notified when your request is ready to pick up. It will automatically be checked out on your library card and will be held at the Check Out Desk for the period of the loan. The lending library determines the length of an ILL’s loan period and whether or not the item will be renewed. Items that cannot be renewed will be marked as such. To renew an ILL, please contact the Interlibrary Loan Department at 785-320-5369 or ill@mhklibrary.org at least 3 days before the item is due. 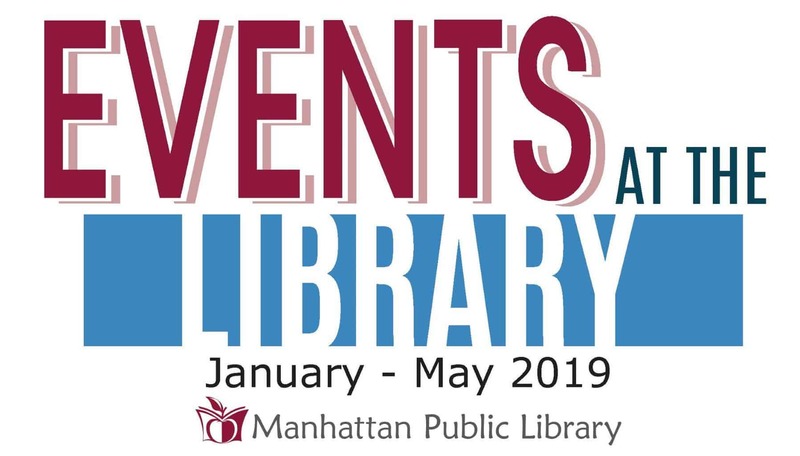 Manhattan Public Library must remain in good standing with other lending libraries by honoring their due dates and rules in order to remain in the interlibrary loan circuit and provide items to our patrons. Books and audiobooks borrowed through ILL accrue the standard 10-cent a day late fee, up to a maximum of $3.00. DVDs, Blu-Ray, video games, and book discussion kits are $1.00 a day, up to a maximum of $5.00. All ILL items are given a one-day grace period before fines begin to accrue. Items that become overdue while in the process of being renewed will have late fees waived, so long as the item was not already overdue when the renewal request was made. Additionally, patrons who return ILLs without the identifying band will be charged $5 for vinyl bands and $2 for paper bands. These charges will be waived when the band is returned. If an ILL is lost or damaged, you will be charged a replacement cost determined by the lending library, plus a $5.00 processing fee. Remember, you must be registered with the ILL system in order to log in and place ILL requests. Internet Explorer is not supported by the ILL system and it will not display or function properly in that browser. Firefox, Chrome, Safari, and Opera are all supported. 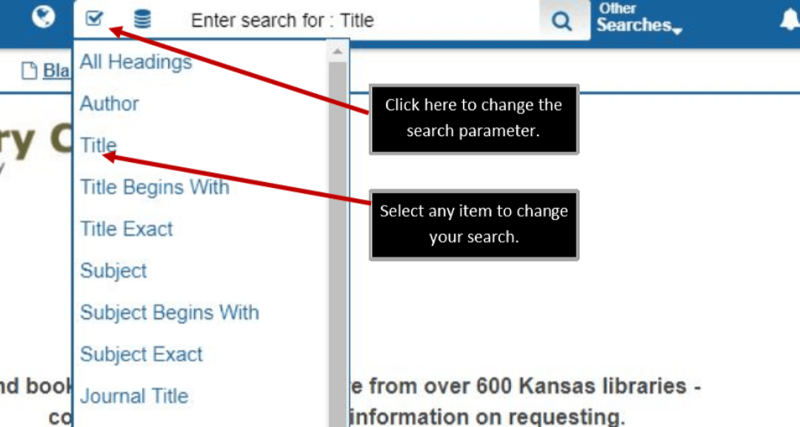 Go to the Kansas Library Catalog or click the ‘Log Into the ILL System’ button below. You will be presented with a login screen. Enter your Manhattan Public Library card number (usually the last 7 numbers) and password (usually the last 4 numbers of your phone number). Click ‘Submit’ or press Enter. *If you would like the system to remember your username and password, click the ‘remember me?’ box. We do not recommend this for public computers. If you are using a public computer, please remember to log out of the ILL system when finished. After you have logged in, click on the search bar and begin typing. In this example, we will look for the first Harry Potter book. You can type in all or part of the title or item you are looking for. Then, either press the “Enter” key on your keyboard or click the magnifying glass icon. If you wish to search for an author or subject, you will need to change the search parameters. To do this, click on the box with the check mark to the left of the search bar and select a new parameter from the list. 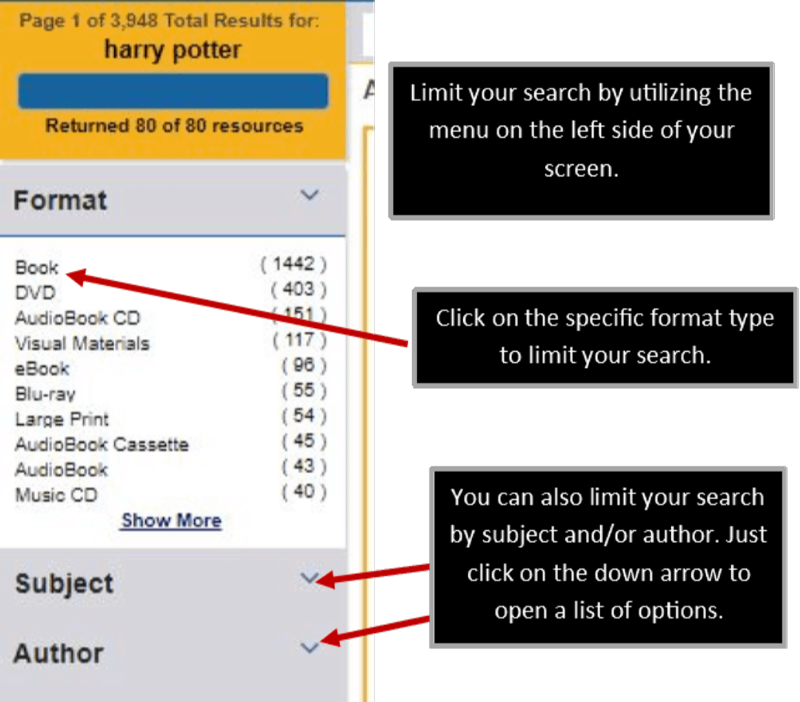 After you have submitted your search term, the library will start a system-wide search for your item. For the best results, please wait until the “Searching…” box is completely blue or at 100%. This will indicate that the search has been completed. After the search has completed and your results are available, it’s time to start sorting through them. If you have trouble finding a particular item, you can use the “Filter Your Results” option located on the left side of the screen. From here, you can filter your results by Subject, Author, Libraries, Date, Publisher, Title, and Format. Just click the word to get a more specific list of available items. You can select the specific format type from the list on the left hand side of the screen or you can scroll through the results list and check the icon under the item image. The icons below the item image will indicate the type of format for that specific item record. 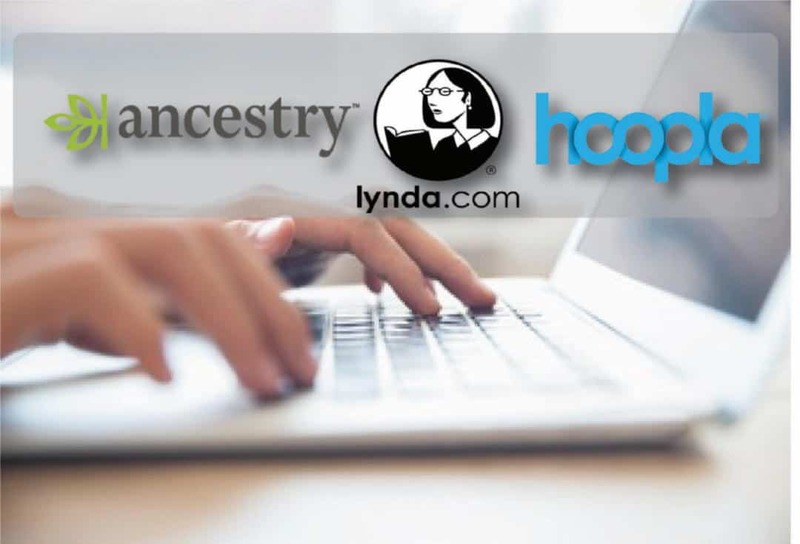 You will see a list of libraries with available copies in each item record listing. For best results, we recommend choosing the one with the most copies attached to it, to increase your chances of receiving the item quickly. Now that you are ready to request the item, click the “Request This Item” button to begin the final step. 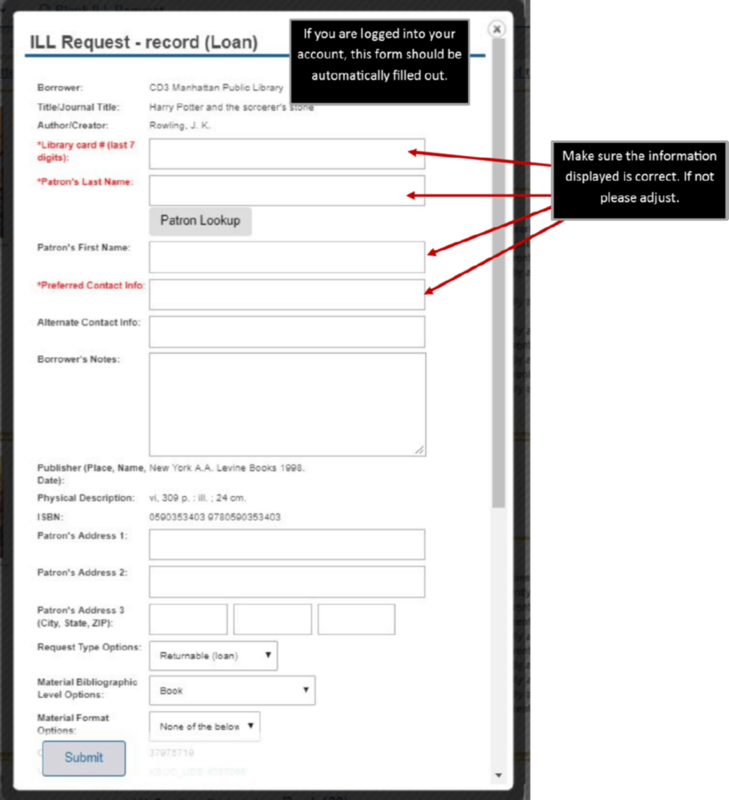 Review this information to be sure all items in red are filled out and click the “Submit” button to complete your request. Once submitted, if you have given your email address, you will automatically be sent an email when your request arrives. Please be sure to return all ILL items in a timely manner. 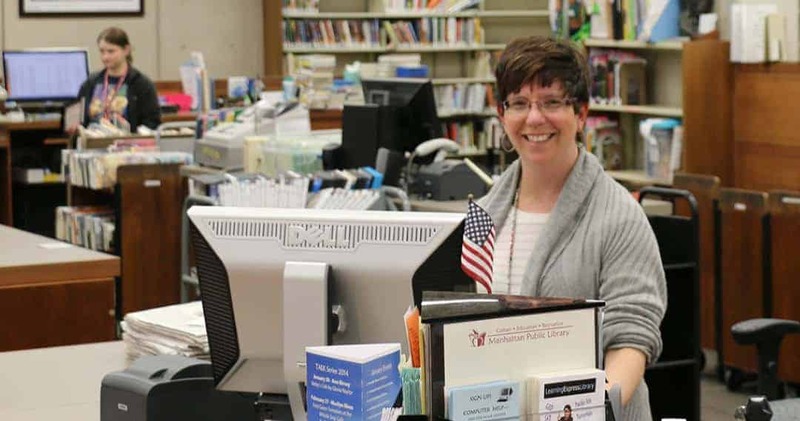 In order to borrow items for our patrons through this service, Manhattan Public Library must remain in good standing with other lending libraries by honoring their rules and due dates. Book clubs may request book kits containing multiple copies of the same title through interlibrary loan. Titles must be chosen from the list of kits provided below and are subject to availability. There are currently over 800 titles to choose from, including classics and newer titles, with more added periodically. ILL will not supplement kits that do not have enough copies for a group. Due to the average length of time to check availability and receive kits, when placing a request we require at least two weeks’ notice before your club will need the book, and ask that you have a backup title just in case your first choice is not available. Kits needed sooner than two weeks are not guaranteed to arrive on time. Book kits cannot be requested online through the KLC/ILL system. After choosing a title, please contact the Interlibrary Loan Department at 785-320-5369 to request a book kit. Patrons are limited to one book kit per library card. The list of kits can be found here: PDF list of Titles and Authors (updated 11/15/2018).